“This Week in Internet Advice” is a response to the overwhelming number of arbitrary advice columns on the Internet. The Internet has long been the place that we go to with our questions and as a result, over the past few years the Internet has responded by giving us unsolicited advice that we didn’t realize we needed. In this feature, the author picks one of these articles and points out the unintentional humor it provides. The last edition of “TWIIA” (yeah, it’s got an abbreviation now, that’s how you know we’re blowing up) featured a breakdown of a Huffington Post article urging readers to move to Hawaii. Let’s just say the article didn’t exactly cater to the 99 percent. This week I found an article on the Huffington Post titled “The One Item Every Man Should Have in His Closet: A Leather Jacket.” Once again, I think the writers at Huffington Post are forgetting one seemingly important detail: we’re not all flush with disposable cash. This is true, but fedoras and varsity jackets were also pretty neat back in the era of Brando, Dean and Zuko. Racial segration, atomic scares and Soviet paranoia were the bees’ knees back then too. So even if Sandy really liked Zuko’s jacket I might take a different approach. 2. … and for guys today, like Beckham, Pattinson and Pitt. It’s a pretty common mistake to think that Pattinson, Pitt and Beckham are actually really good looking. 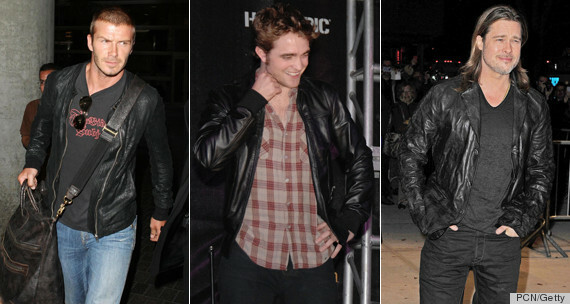 The reality is that they just have really great leather jackets. 3. 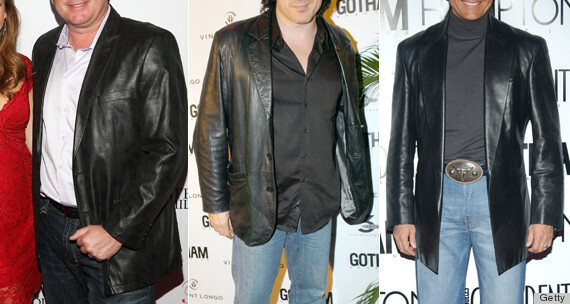 You can wear a leather jacket with just about anything, from jeans and plaid shirts to dress pants and a tie. So basically you can wear them vaguely ironically, ironically or really ironically. 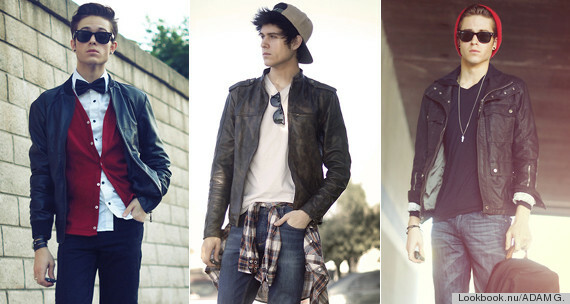 Also, you know how many people can pull off the the three styles pictured above? Three people. The three people in the pictures above. And they can only pull it off the way the way Zach Galikinakis can pull off the fat, bearded weirdo look; it works for him now, but if he weren’t famous and were eating lunch in a break room I’d probably wait until he was done to eat my lunch. 1. Decide what kind of style you want. A jacket with oversized lapels (far left)? A motocross jacket with a petite collar (middle)? 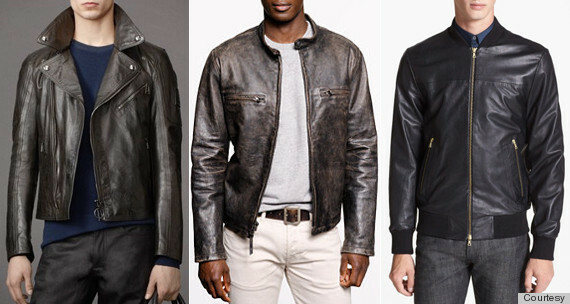 Or a bomber with a fitted waistband and sleeves (far right)? 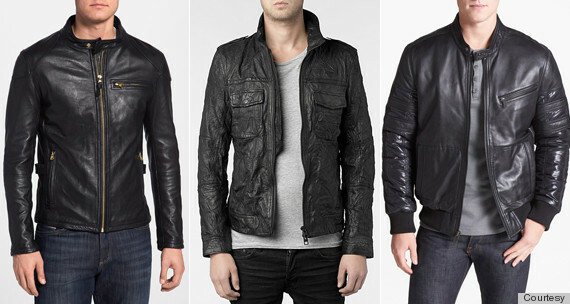 On a separate note, the listed prices for these three jackets are $895, $1,197, and $1,280 respectively. If I’m going to spend that much money for the jacket that Tyrese wears in the Fast and the Furious movies then it better be the actual jacket Tyrese wears in the Fast and the Furious movies. 2. Decide how much you want to spend. A higher price often indicates softer leather, higher quality hardware and a better fit. But there are great jackets at a variety of prices. Yep, there’s a whole variety of prices. Some cost about as much as a few months rent while others just cost about as much as few months electricity, water and groceries. 3. If you’re hesitant about making the splurge, give it a test-run: Faux leather jackets are more abundant (and look better) than ever. 4. And whatever you do, do NOT get a leather blazer. Apparently fat people wear those. I’m pretty sure if you put Beckham, Pitt and Pattinson in the leather blazers and these three guys in the leather jackets it would really screw up this article. Look, I’m all for lazy, economically insensitive, gender role enforcing fashion advice, but this article made a glaring omission: They didn’t say anything about Fonzie. I know, you can make the same argument for Fonzie that I made for Brando, Dean and Zuko, but when the Fonz’ flashes the double thumbs up you’re going to go with the flow. It’s just inevitable. To read about why the Internet says you should move to Hawaii, click here. To read about why the Internet hates young married couples, click here. To read about how the Internet helped you with your Christmas shopping, click here.